NASHVILLE, Tenn. (AP) — Country star Miranda Lambert celebrated Valentine's Day weekend with the announcement that she secretly got married. A representative for the singer confirmed the marriage after Lambert posted photos on social media Saturday showing her in a white lace gown with her new husband, Brendan Mcloughlin. She wrote that in honor of Valentine's Day, she wanted to share that she "met the love of my life. And we got hitched!" NASHVILLE, Tenn. (AP) — The midterm elections are over, but the contest for the year's best country songs is just around the corner at the 2018 Country Music Association Awards. The two categories — song of the year and single of the year — look similar with three songs nominated in both, but the writers behind the hits say these awards are hard to predict. NASHVILLE, Tenn. (AP) — The Pistol Annies' sassy new song about reclaiming singlehood called "Got My Name Changed Back" has raised some eyebrows for its lyrics about a husband who cheats while on the road and prompted speculation about who might have inspired it. Miranda Lambert romancing Evan Felker? Miranda Lambert is reportedly romancing Evan Felker. The 34-year-old singer - who was previously married to Blake Shelton from 2011 to 2015, and broke up with ex-boyfriend Anderson East earlier this year - is believed to have struck up a new relationship with fellow musician Evan, who is a member of the neo-folk band Turnpike Troubadours. A source told Us Weekly magazine: "They are very much involved." Thanks to area music fans, artists like Elton John, Tim McGraw, Garth Brooks, Miranda Lambert, Foo Fighters and Carrie Underwood have graced the Spokane Arena stage in recent years. Upcoming shows by the Eagles, in May, and Metallica, in December, are also thanks to Spokane concert goers. Since launching the Bucket List in 2014, the folks at the Spokane Arena have brought 23 fan requests to Spokane. Maren Morris is blasting Rolling Stone Country for its editorial criticizing the opening segment of the Academy of Country Music Awards on Sunday. Miranda Lambert made history at the American Country Music (ACM) Awards on Sunday (15.04.18). The 34-year-old musician put herself firmly in the history books at the glitzy award ceremony at the MGM Grand Garden Arena in Las Vegas, after she picked up two gongs - for Female Vocalist of the Year and Song of the Year for her hit 'Tin Man' - and became the most decorated artist in ACM history, with a whopping 31 wins to her name. Losin' her man to another woman ain't slowin' country singer Miranda Lambert down. She'll be appearing Aug. 17 at KeyBank Pavilion in Burgettstown, on the Bandwagon Tour with Little Big Town. At the April 15 Academy of Country Music Awards gala, Lambert was named 2018 Female Vocalist of the Year. She also won Song of the Year for "Tin Man," which references the breakdown of her marriage to fellow country star Blake Shelton, who's now in a very public relationship with singer Gwen Stefani. LAS VEGAS (AP) — A list of winners at the 53nd annual Academy of Country Music Awards, held Sunday at the MGM Grand Garden Arena in Las Vegas. — Album of the year: Chris Stapleton, "From A Room: Volume 1"
Carrie Underwood will perform the world television premiere of her soon-to-be-released single live on the 53rd annual Academy of Country Music Awards on Sunday, April 15, on CBS. 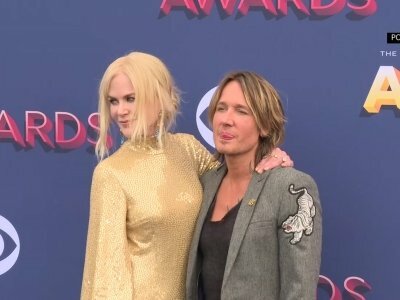 Underwood is nominated for Female Vocalist of the Year as well as Vocal Event of the Year for "The Fighter" with Keith Urban. The 53rd ACM Awards, hosted by Reba McEntire, will broadcast live from the MGM Grand Garden Arena in Las Vegas beginning at 8 p.m. 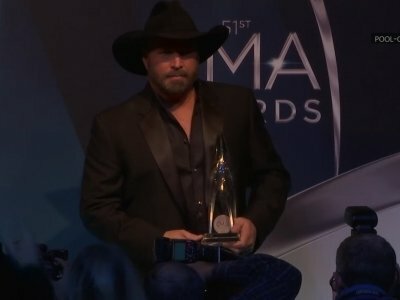 Previously announced ACM Awards performers include Lauren Alaina, Jason Aldean, Kelsea Ballerini, Dierks Bentley, Kane Brown, Luke Bryan, Kenny Chesney, Kelly Clarkson, Florida Georgia Line, Alan Jackson, Lady Antebellum, Miranda Lambert, Little Big Town, Midland, Maren Morris, Jon Pardi, Bebe Rexha, Thomas Rhett, Blake Shelton, Keith Urban and Brett Young. Presenters include David Boreanaz, Drew Brees, AJ Buckley, Cam, Sam Elliot, Eve, Ashton Kutcher, Dustin Lynch, Nancy O'Dell, Rebecca Romijn, Max Thieriot and Lindsey Vonn. Ashley McBryde has spent the last several years of her life focused on making music, writing songs and opening shows for Eric Church, Chris Stapleton and Miranda Lambert as she built toward her own moment in the spotlight. On Monday, the Arkansas native made the jump to Jimmy Kimmel Live, where she played a resilient rendition of her breakout anthem "A Little Dive Bar in Dahlonega" from her major label debut Girl Going Nowhere. As “Most People Are Good” ascends to #1 on the country chart this week, it becomes Luke Bryan’s twentieth career chart-topper. It’s also his twelfth #1 in a row, the longest streak of any current country artist. NEW YORK (AP) — Elton John's songs will be reworked by top artists including Ed Sheeran, Lady Gaga, Willie Nelson and Chris Stapleton. John announced on Thursday the April 6 release of two albums. "Revamp" will include covers by pop and rock stars from Mary J. Blige to Miley Cyrus. Miranda Lambert and Dolly Parton will appear on the country album "Restoration." Miranda Lambert's recent show in Knoxville, Tennessee, helped fuel rumors that she and boyfriend Anderson East have called it quits. Jason Aldean, Luke Bryan, Miranda Lambert and pop singer Bebe Rexha with Florida Georgia Line will be performing at the Academy of Country Music Awards in April. CLEVELAND, Ohio - Grammy Award-winning country star Miranda Lambert brought her "Livin' Like Hippies" tour to the Wolstein Center on Saturday night. The 2018 tour kicked off this January in South Carolina and continues around the country through the end of March. NASHVILLE, Tenn. (AP) — Chris Stapleton, who released two top-selling albums last year, leads the Academy of Country Music Awards with eight nominations, including his first entertainer of the year nomination. CLEVELAND, Ohio – You do not want to mess with female singer-songwriters in country music. They are tough enough to chew coal and spit out diamonds. Want proof? Listen to the double album "The Weight of These Wings'' by Miranda Lambert, who is at Cleveland State University's Wolstein Center on Saturday, March, 3. Gwen Stefani and Blake Shelton have reportedly put their plans to have a baby on hold for the time being. The loved-up couple - who have been dating since November 2015 - are both keen to have children together, but it's not their focus for the moment. An insider explained: "Blake and Gwen have decided to put plans to have a baby on hold. Their feeling is if it happens naturally, great. But they've decided to not focus on it for the time being." Judging by the nearly two dozen songs she performed Friday at Spokane Veterans Memorial Arena as part of her “Livin’ Like Hippies” tour, country singer Miranda Lambert’s tunes can be divided into three categories. There are the let-the-good-times-roll songs that let Lambert show off her firecracker personality. Miranda Lambert’s episode of Front and Center premieres Friday on PBS stations all around the country. 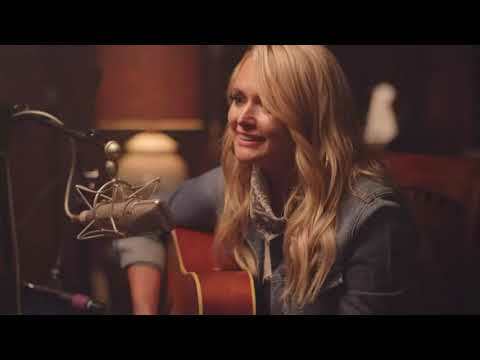 Recorded last year at Nashville’s Marathon Music Works, it captures Miranda’s CMA Songwriters Series show featuring tracks from her The Weight of These Wings album. Miranda Lambert set the country music world aflutter this week when she dropped a major hint on social media that her super trio, Pistol Annies, will have new music out soon. To coincide with her Friday concert at Spokane Arena, country singer Miranda Lambert has partnered with SCRAPS as part of her MuttNation Foundation, which works to save the lives of shelter animals. A June 15 show by Dierks Bentley will kick off this year's country music series at KeyBank Pavilion near Burgettstown. Live Nation and KeyBank Pavilion have announced six dates for the 2018 Country Megaticket Driven by Diehl Automotive, marking the offer's 12th year for country fans. • Keith Urban, with Kelsea Ballerini, June 23. • Rascal Flatts, with Dan + Shay and Carly Pearce, July 27. CLEVELAND, Ohio – Sister Rosetta Tharpe is having a moment. CLEVELAND, Ohio – As has been the case for the past several years, the list of country performers arriving in Cleveland this year is growing. Lady Antebellum and Darius Rucker are set to perform at Blossom Music Center on July 20. The two country acts join a list of country performers coming to the Cleveland area that already includes Miranda Lambert, Rascal Flatts and Zac Brown Band. And it's only January. CLEVELAND, Ohio – That old watch-commercial catch phrase – "it takes a licking and keeps on ticking'' – has nothing on the Northeast Ohio music scene. Now millennials probably won't recall Timex pitchman John Cameron Swayze's TV catch phrase, but they can acknowledge the sentiment and how it applies to a year that saw everyone from U2 to Guns N' Roses stopping in for a visit. Pop duo had the best local album of 2017. They're joined by Space Kiddettes and Christian Alexxander for a show inspired by MTV's '80s heyday. 8 p.m. at Leon's Lounge, 1006 McGowen; 713-650-1006. Husband and wife duo from Austin. Lavere, a singer, songwriter and upright bass player, played Wanda Jackson in 2005's "Walk the Line." 9:30 p.m. at McGonigel's Mucky Duck, 2425 Norfolk; 713-528-5999. NASHVILLE, Tenn. (AP) — Several years ago, producer and songwriter Shane McAnally met Walker Hayes, a country singer from Alabama who was struggling to find a hit while signed to Capitol Records Nashville. "He had a song or two that hadn't worked and they were like, 'We just need a hit,'" said McAnally, who has written No. 1 songs with Sam Hunt, Miranda Lambert and Kenny Chesney. "There's nothing organic or honest about telling someone that you just need a hit." NEW YORK (AP) — Sam Smith, Miley Cyrus and Coldplay's Chris Martin are set to honor Elton John at a tribute concert next month. The Recording Academy announced Friday that it will tape "Elton John: I'm Still Standing — A GRAMMY Salute" at The Theater at Madison Square Garden in New York on Jan. 30, two days after the 2018 Grammy Awards. The concert will broadcast at a later date on CBS. The Grammys will air live from Madison Square Garden on Jan. 28. Miranda Lambert's MuttNation Foundation was created to raise awareness for shelter animals and to provide them loving homes. This holiday season, MuttNation is teaming up with Petmate for unique pet collections, which benefit the organization. CLEVELAND, Ohio – There was a time when Album of the Year was the clear cut big award at the Grammys. That's changed a bit with the rise of singles and music streaming. Still, the 60th Grammy Awards, which will be announced on Nov. 28, should have a few huge names in the category. Namely, Ed Sheeran and Kendrick Lamar. But who will join them? Jon Pardi & Miranda Recorded? In an interview with "Entertainment Tonight", Jon Pardi kind of let it slip that he and Miranda Lambert have recorded music together. He called it "secret information", said it "sounds awesome" . . . and then blurted out, quote, "[It] might come about in the third record."